thanx media helped us perform many times in the search of sites for easy administration, your team very friendly. "Thanx Media Is Awesome To Work With"
Thanx Media has helped us to implement a faceted searching solution for our 4 websites. We have been very happy with how it works. It is fast, and there is very little down time. It provides us with some great functionality, that we could not get through the primary system we are using. We are very happy with it! What we like the best about them, however, is how they continually go above and beyond the call of duty for us. Shreyas and Kevin at Thanx Media have both helped us work through issues, that they probably didn't have to help us out with. They just have such a good relationship with their customers, that they are always willing to help out. They are very down to earth people, and an absolute pleasure to work with! I would recommend them to anybody! The only think that is not ideal for us, is that their solution requires us to pass our data though feeds. Ideally, we would love to have all of our data pulling from our system in real time. Having to pass the info through data feeds can make things awkward if you have to get product up quickly. Data feeds are something, however, that most solutions would require, so it certainly is not anything that we would fault them for. Another thing that isn't ideal, but again, not their fault, is that the solution we have implemented requires us to have part of our site in one platform, and another part of the site in another platform. This means that one part of the site can be down, while the other part is working. That makes it a little harder to notice when there is a problem, but again, this would be the case with many solutions. Just call them up and talk to them about your project and see if they can do it ... if they can, don't hesitate to go with them :) Our implementation was very difficult to do, because of the platform we are using. We ran into some issues trying to get things to work initially, and we were a little worried up front, but Thanx Media found a way to get it to work. They are just the kind of people who don't give up, until you are satisfied with the outcome! "Good company to work with, but has some issues to resolve. Bright Future for this Company"
Really easy to manage site search platform, and their team is exceptionally willing to handle issues. We've increased our site search capabilities with them, and are generally pleased with the site search performance. When we've had issues to resolve they were really great in wanting to work with us. It is clear that they have a really bright future. Be mindful of the way that HawkSearch is implemented with respect to SEO. The way that we implemented caused technical issues that were preventing us from maximizing the SEO value of our site. This was a big issue for us and one that we needed to resolve quickly. 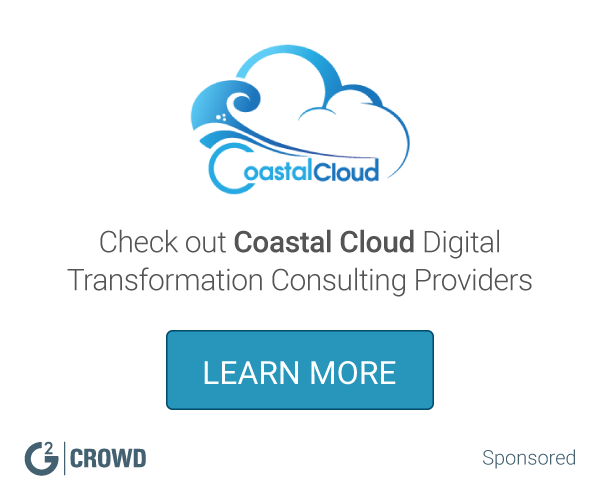 I know that they are focusing on this element as well, and I expect that current and future iterations of Hawk Search will have better SEO tools. They are a great group to work with. Take your time on the implementation and make sure that you are considering how the software will be used after launch. As with all technologies, have a clear plan as to how you are going to manage the project after launch. In our case, we would have been better served to spend more time internally determining how to keep Site Search optimized after launch. This was our failing, not theirs. They are wonderful to work with. Thanx offers several products that can really create a positive impact on a business, and at a fair price. However, even better than that is the level of service they provide to customers. They are quick to respond and extremely helpful at solving problems, even if the problems don't directly result from their products. Their tech employees are extremely knowledgeable and friendly. Without a doubt, one of the best companies we work with. There really isn't anything, but if I had to choose something, I'd go with price. I believe their services are well worth the cost, but wouldn't mind paying a little less. "Four time customer! Best software partner I've had." I've worked with Thanx on four different projects including search, content and mobile. They're reliable, reasonably priced and have a very smart team. All of the engagements went smoothly and I'd welcome the opportunity to work with them in the future. Nothing. They're a great long-term partner. Very easy to work with. They provide numerous software packages and consulting services and can be a one-stop shop for your e-commerce needs. Thanx provided suggestions during search, improving rankings.. Nothing in particular, I thought the website was well-designed and easy to use. We use Hawksearch for our websites and I like that it offers some search features that our e-commerce platform does not have. We started using Hawksearch to have better control of the search results, and to make sure customers were getting the most relevant results. So far we haven't found an easy way to get Hawksearch to integrate with our ERP system so we have been manually managing the data feeds. This has been a bit of a hassle and leaves more room for error. I feel the platform could also be more user friendly in some areas. Our initial set up with Hawksearch was below par and caused us some head aches. Now that we've strengthened our partnership with them, we are having a better experience. "Review of Hawk Search and Blosm"
Since so much communication was through email, sometimes messages were construed the wrong way. Would be nice to have more phone calls. Recommended for Blosm. It's a good tool. Communication. Thanx Media has always been punctual and they always strive to find the answers to questions. Sometimes their developers would get overloaded and simple tasks were not completed in a timely manner. This company does a great job offering many different options to run your website smoothly. * We monitor all Thanx Media reviews to prevent fraudulent reviews and keep review quality high. We do not post reviews by company employees or direct competitors. Validated reviews require the user to submit a screenshot of the product containing their user ID, in order to verify a user is an actual user of the product. Hi there! 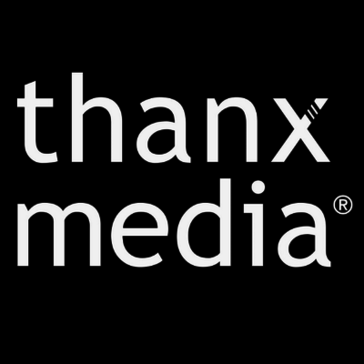 Are you looking to implement a solution like Thanx Media?